If you care about your appearance, you probably spend time making sure you look nice before stepping out the door. You take the time to pick out your clothing, style your hair, and even pick out coordinating accessories. Even if your looks seem impeccable, you may be overlooking one of your best accessories…. your smile. There is no amount of clothing, accessories, or make-up that can hide a smile that has issues. Whether it is stains, cracked teeth, or missing teeth, they can affect that all-important first impression. 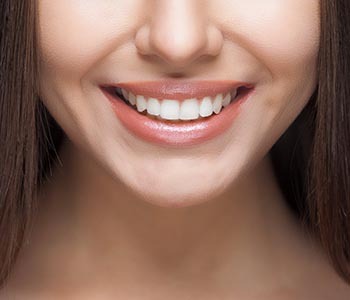 Cosmetic dentistry can address these problems, and more, leaving you with a show-stopping smile that can really impress. At the office of Dr. Aurelia in Rochester Hills, our team will transform your smile. Certain medications, coffee, tea, wine, and red pasta sauce can leave your pearly whites looking lackluster. Once your teeth have been stained, no amount of brushing will get rid of the discoloration. Professional teeth-whitening gives your smile an instant upgrade. One of our most popular treatments is our professional-strength at home whitening kits. They provide all the convenience of drug store methods with a bleaching solution that will make your teeth several shades lighter. Patients simply wear the customized trays for a designated amount of time each day, for a transformation that will be complete in as little as two weeks. If you have permanent discoloration that cannot be addressed with whitening, you may want to consider veneers. In addition to changing the color of teeth, veneers can cover chips, cracks, gaps, and even differences in tooth-size. The shells of porcelain are permanent and stain-resistant, giving patients a brand-new smile. Veneers are individually fabricated for each patient, so your smile will be unique to you. Veneers can be used on one tooth, or the entire smile.